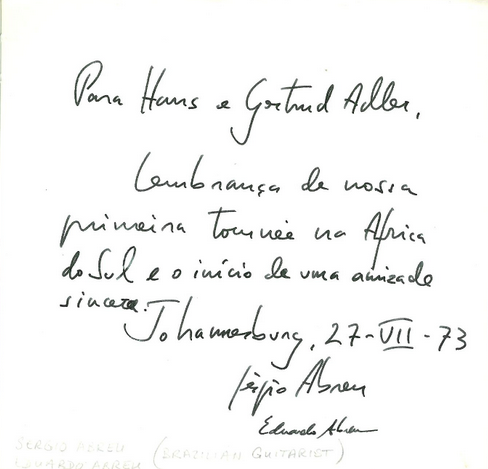 Celebrated musicians' concert tours of Southern Africa 1953 -1978: Sergio and Eduardo Abreu, Brazilian Guitar Brothers Duo. Sergio and Eduardo Abreu, Brazilian Guitar Brothers Duo. Sergio and Eduardo Abreu, brilliant Brazilian Guitar Brothers Duo.